Your bridesmaids will love these cute tote bags in a fun assortment of colours, stripes, solids and polka dots, perfect for all the pre and post wedding errands. 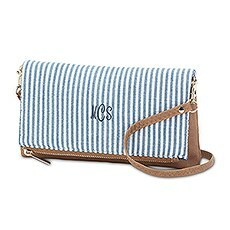 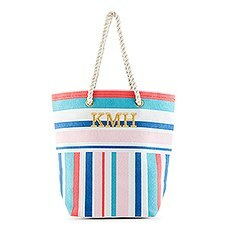 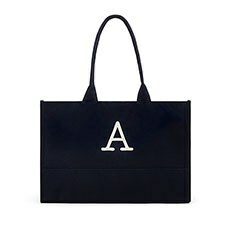 Affordable and perfectly sized weekend bags for women are a unique and gorgeous personalised gift idea. 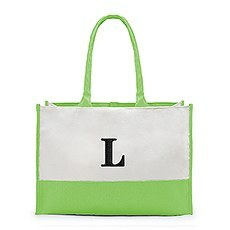 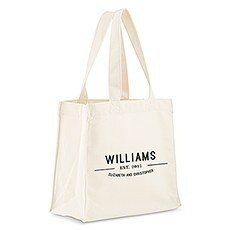 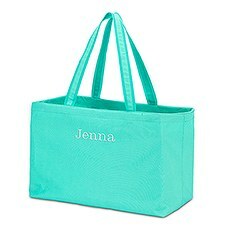 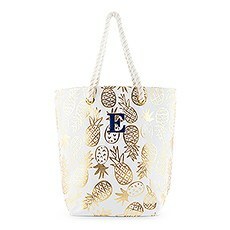 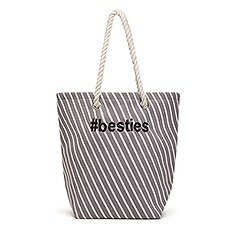 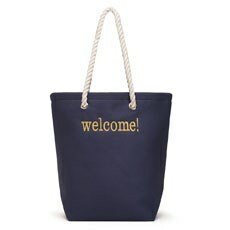 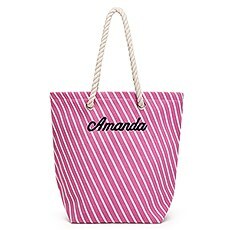 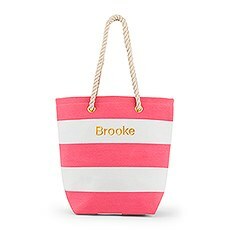 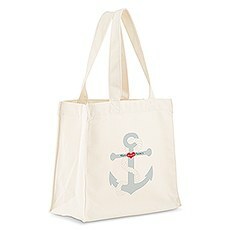 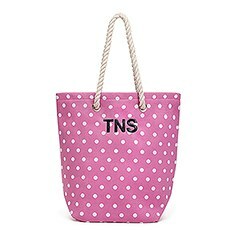 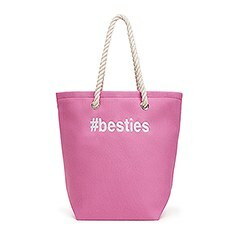 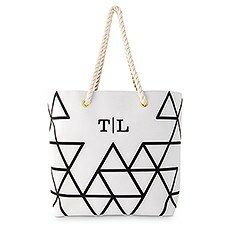 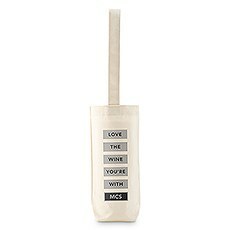 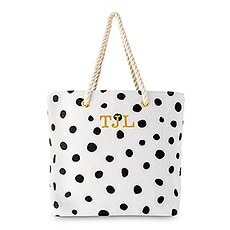 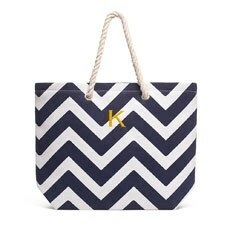 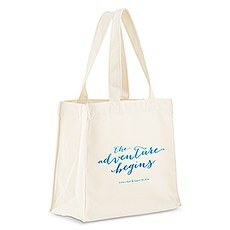 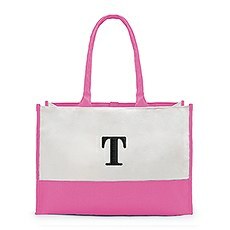 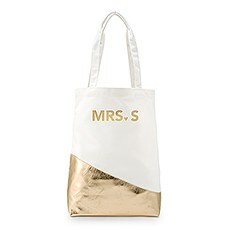 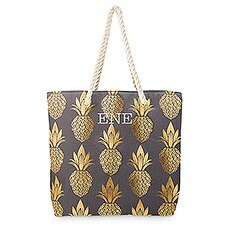 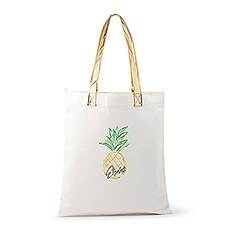 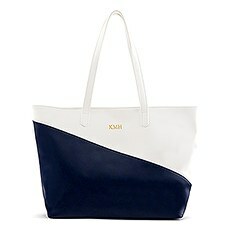 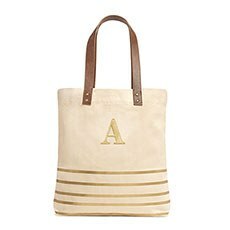 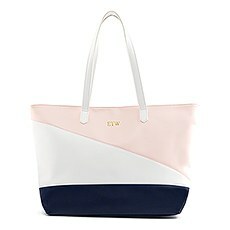 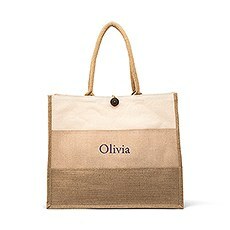 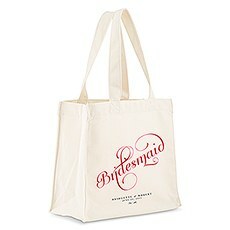 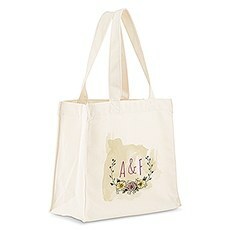 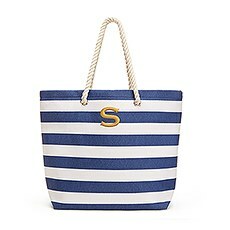 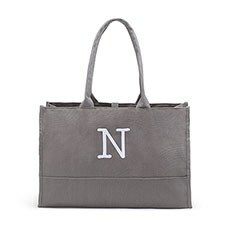 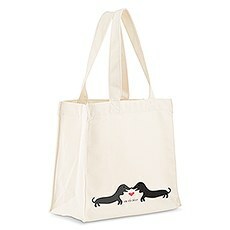 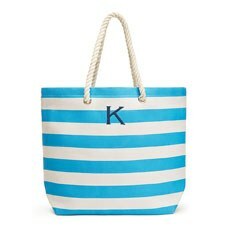 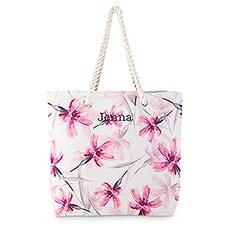 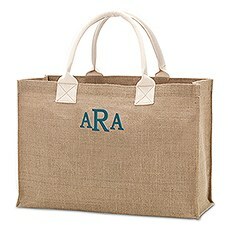 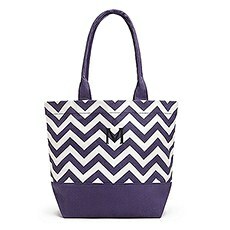 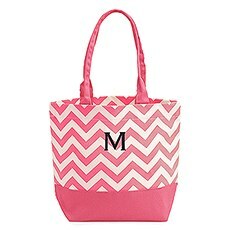 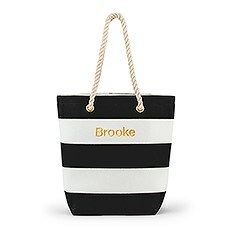 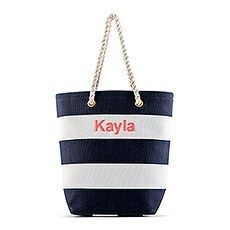 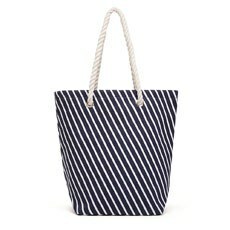 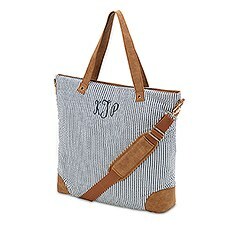 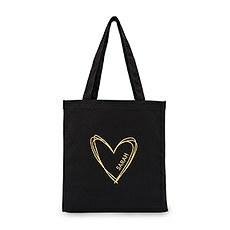 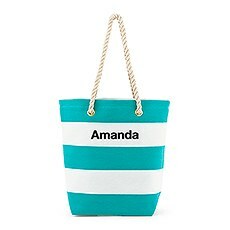 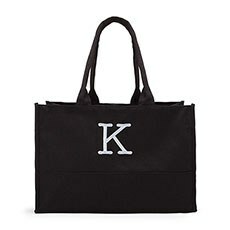 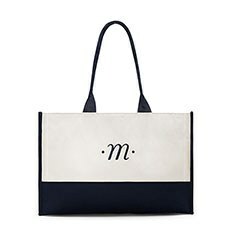 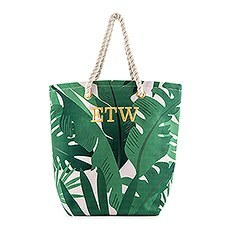 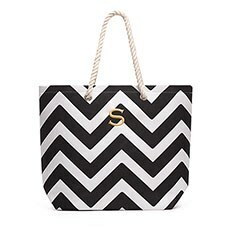 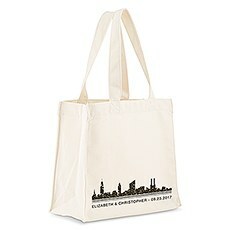 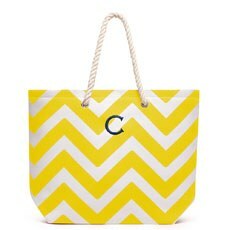 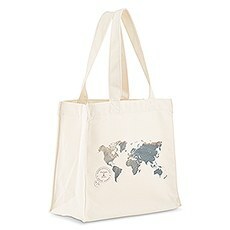 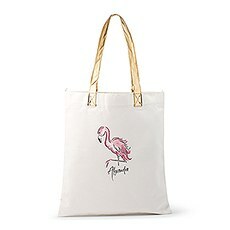 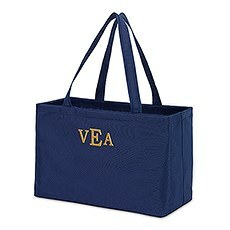 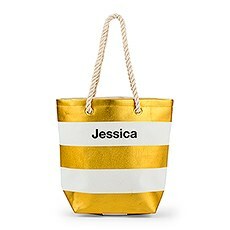 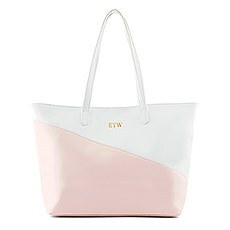 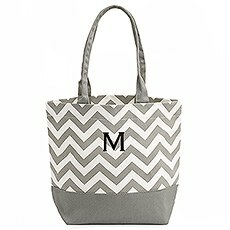 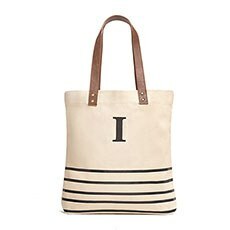 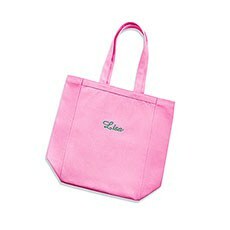 Give her a gift she'll use again and again by choosing from this selection of personalised tote bags at Weddingstar. Whether it's a bridesmaid gift, a birthday gift or even just a nice little gift to yourself, these bags are both practical and stylish — a winning combo every time. 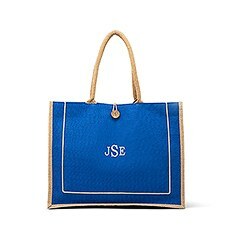 Because each bag can be personalised with a name, a monogram or a fun phrase, it also features that personal touch that makes the gift extra-special. 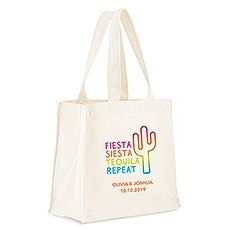 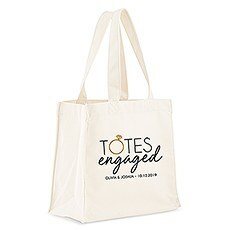 Our custom tote bags are so popular that our newly weds often order them early in the planning process, right alongside their wedding stationery and décor! 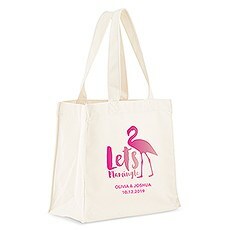 Bonus points for early birds! 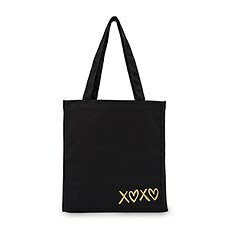 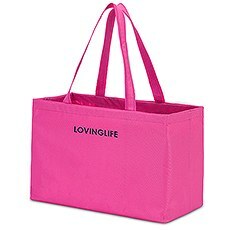 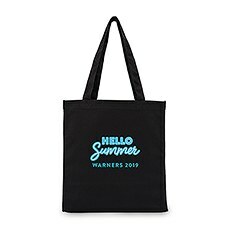 Each of these tote bags is made of high-quality materials, so they hold up well when lugging anything from clothes and shoes to groceries and picnic supplies. 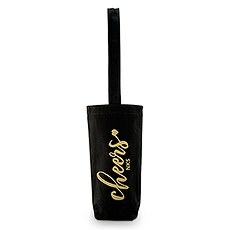 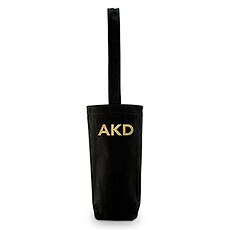 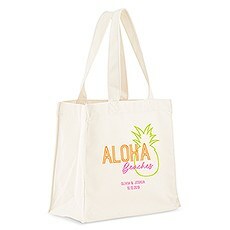 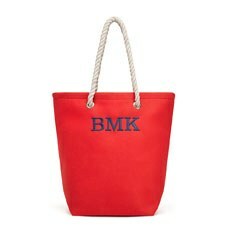 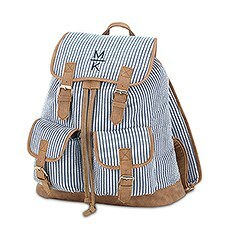 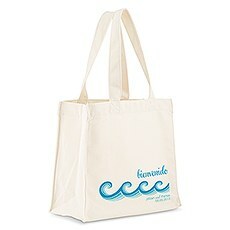 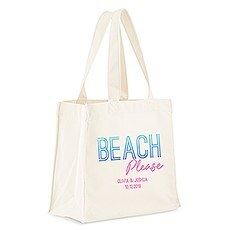 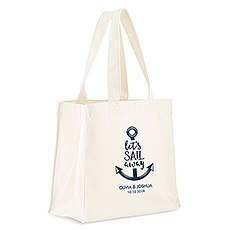 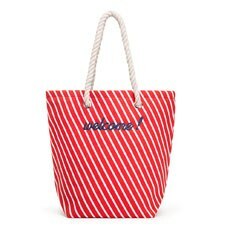 There are also a variety of sizes from which to choose, including beach and travel tote bags, weekender duffle bags and wine totes. 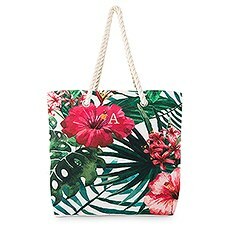 The designs are right on trend, as well. 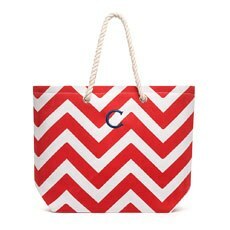 From simple colour-blocked styles to preppy chevron designs, there's something for everyone in this collection. 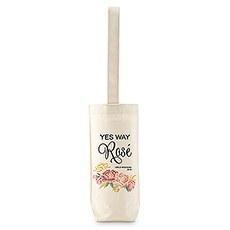 Some of these personalised canvas bags even feature fun sayings and quotes that will have her feeling inspired every day. 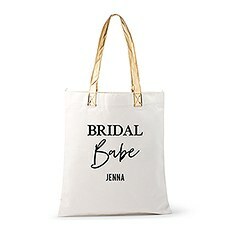 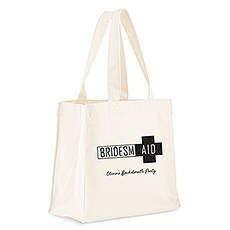 Because these bags are customisable, they make excellent wedding tote bags. 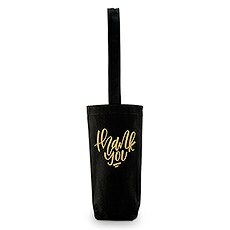 Use them as hotel welcome bags, wedding favour tote bags or bridesmaid tote bags to create fun gifts for the people celebrating this major milestone with you. 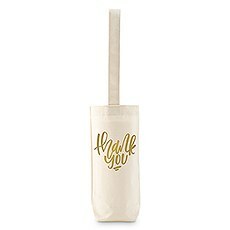 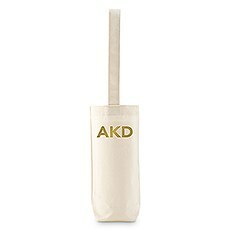 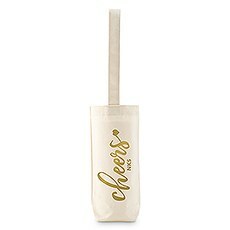 When you fill them with bridesmaid gift bag stuffers — mini champagne bottles, lip gloss and maybe a piece of chocolate or two — you're guaranteed to get a smile out of all your recipients! Weddingstar has everything you need, from the totes themselves to bridesmaid tote bag fillers, and we're always here to help you figure out what to put in bridesmaid tote bags! 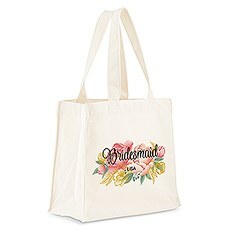 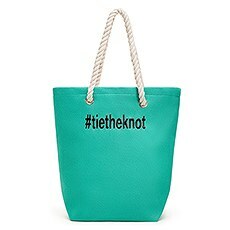 These bags aren't just for weddings, however. 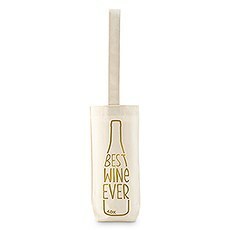 They also make great gifts for any occasion, whether it's a birthday, a baby shower, a graduation or a fundraiser. Browse our full collection of customisable tote bags and add a personal touch to your favourite design. 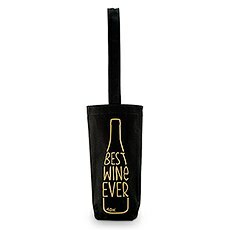 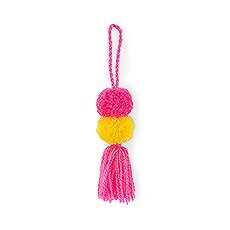 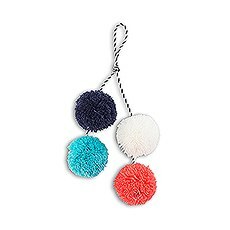 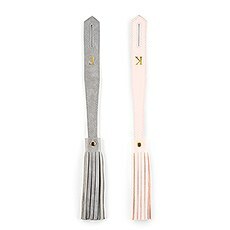 Don't forget to check out the rest of our gifts for her for fun ideas for bag stuffers, including flasks, travel bottles, jewellery, kimono robes and more. 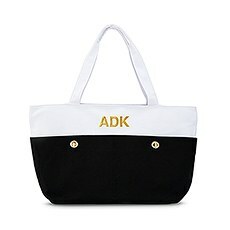 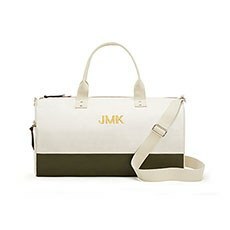 We also have personalised kids' duffle bags and other custom carry-alls for everyone on your list! 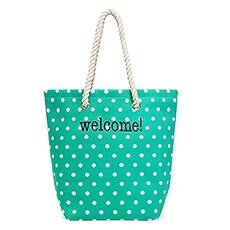 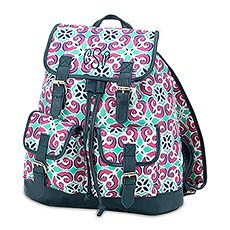 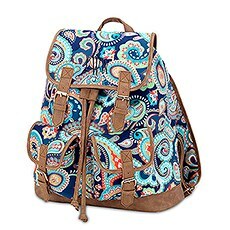 It's always more fun to receive a nice, new bag when it's stocked with goodies.